After much hype and speculation, Apple Pay is finally here. 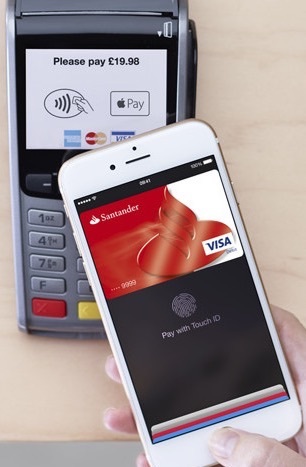 British shoppers will be able to use Apple Pay at any contactless terminal. Nearly half of UK consumers want to use their mobile to pay contactless in stores and last week, Visa announced that 1bn contactless payments had been made in the last year across Europe. When you add a credit or debit card with Apple Pay, the actual card numbers are not stored on the device nor on Apple servers. Instead, a unique Device Account Number is assigned, encrypted and securely stored in the Secure Element on your iPhone or Apple Watch. Each transaction is authorized with a one-time unique number using your Device Account Number and instead of using the security code from the back of your card, Apple Pay creates a dynamic security code to securely validate each transaction. This solves the problem of hackers stealing your number that has been stored, but doesn’t help if the PAN is intercepted before then, such as the case if a malicious program has been loaded onto the card terminal itself. According to Oliver Apple Pay is a really cool way to drain your entire bank account.